When most people think about Francis Ford Coppola Winery, they think about the restaurant, Rustic, the pool or the film director who started the winery. Even those thinking about the wine don’t often realize that Coppola relies heavily on its grower relations team and the network they’ve built across the state with vineyard owners. Soiland Company was started by Marv Soiland as a pipeline contractor in 1962. Marv was born in San Francisco, but raised in Santa Rosa and surrounded by agriculture. 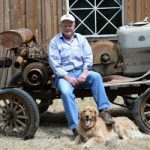 Marv started Soiland with $3000 and rented a backhoe. Today at 88 years old, he still has the first check he received for $800. 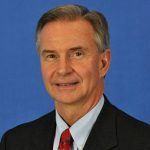 Soiland grew quickly and successfully, and by 1980 the pipeline company had more than 200 employees, but they had been having trouble sourcing materials. Soiland bought the Stony Point Rock Quarry in the 1970’s, followed by Soils Plus in 1999. Most recently, they purchased Grab N’ Grow off Llano road in Santa Rosa in 2009. Marv had 7 children, but it was his son Mark Soiland who took over the company and is now the president and CEO of Soiland Company. The company has moved from a contractor (although they still have their license) to a material supply company, their three main product offerings being rock, soil, compost and mulch. Soiland Company values sustainability. While Stony Point Rock Quarry is the most established of the three businesses, it is their least sustainable and doesn’t have the community reach they would like. Adding Grab N’ Grow to the Soiland family of companies made the company more sustainable and gave them more opportunities to work towards true sustainability. Soiland’s passion is providing sustainable materials and having local and personable relationships with their customers to provide the best experience and products possible. They like to be the middleman connecting producers and consumers while helping everyone realize how they can work together in the community to make it better. “Everything has to be about relationships and long term. I’m not willing to cut corners and compromise because this is a small community and Soiland has been in Sonoma County a long time. I’ve got kids and employees, and we all have to be thinking about the future and the next generation,” said Mark. Soiland Company enjoys being involved in the local community whether it’s the farming community, the gardening community or the construction community. They believe their main products are common products used by famers and they should be involved with supporting the agriculture industry. 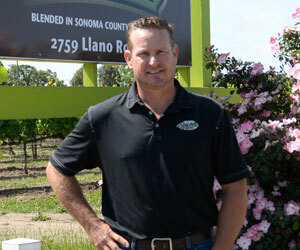 Soiland knows that they wouldn’t have the Sonoma County they love without the farmers. They believe agriculture is a large and vital part of the community. “Farming is going to be forever important. It’s not only part of our customer base, but it’s part of our community,” said Mark. Soiland offers a 10% discount on most products at all three of their locations for Farm Bureau members. For more information on Soiland visit grabngrowsoil com, soils-plus.com or stonypointrockquarry.com.